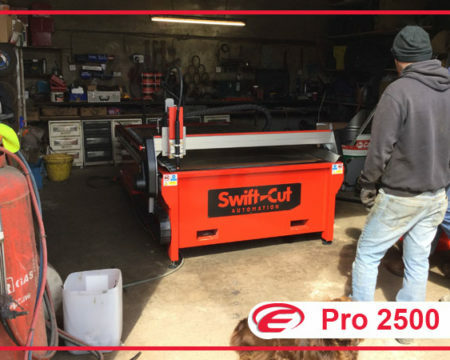 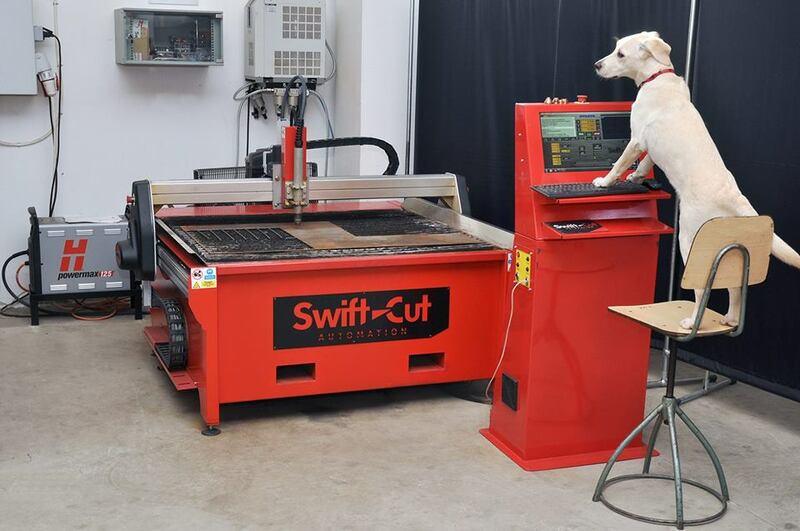 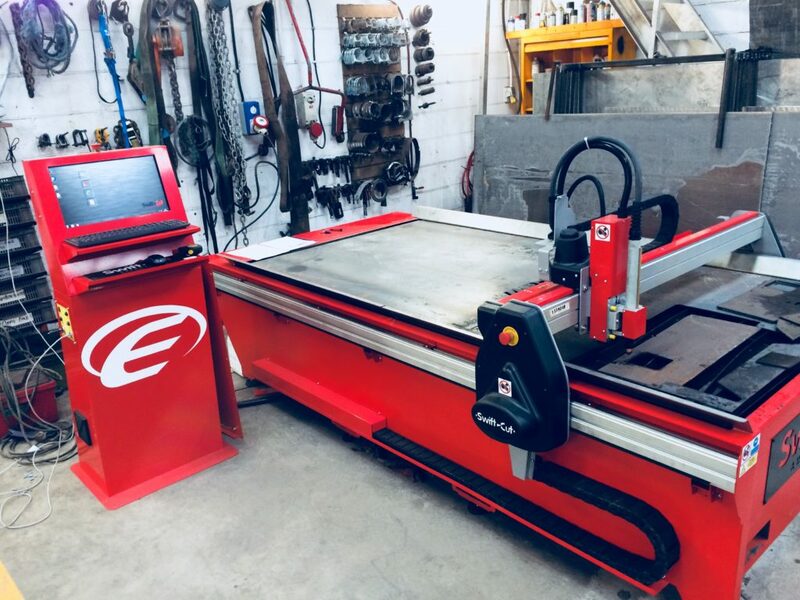 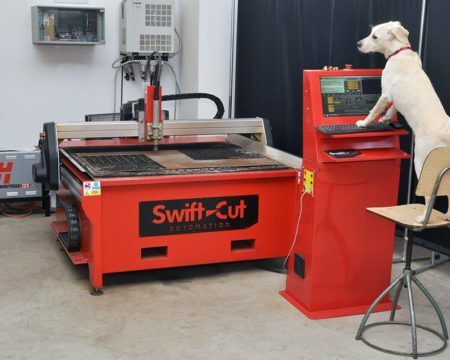 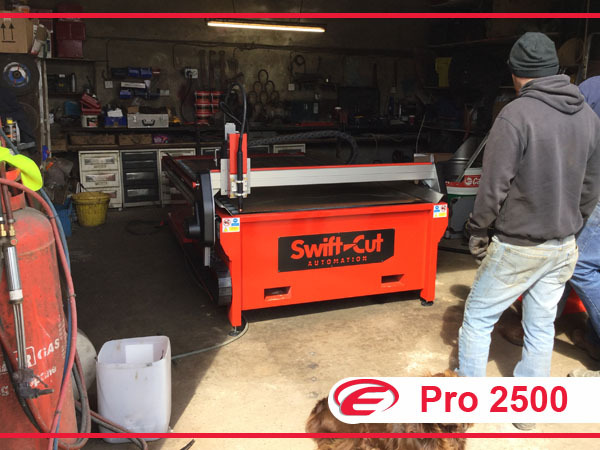 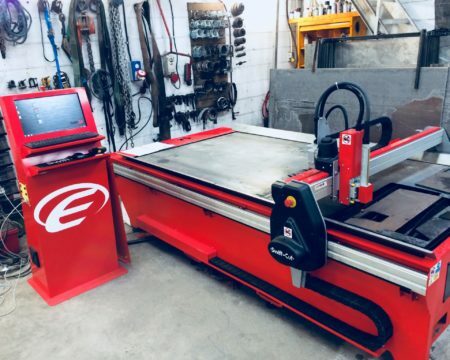 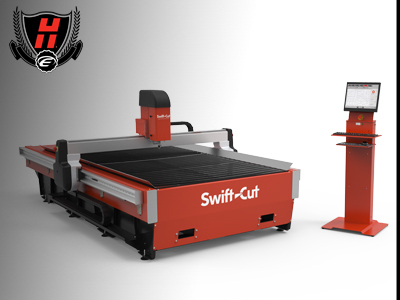 The Swift-Cut PRO 1250 is our most compact plasma cutting table. 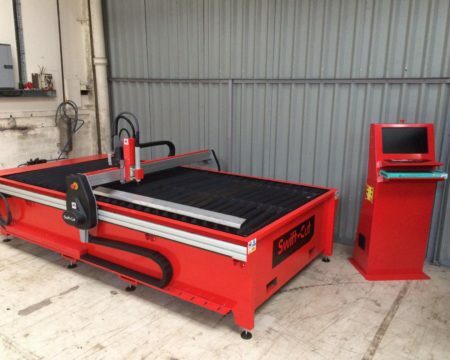 Ideal for small workshops, metal fabricators, repair outfits, educational establishments, designers and artists. 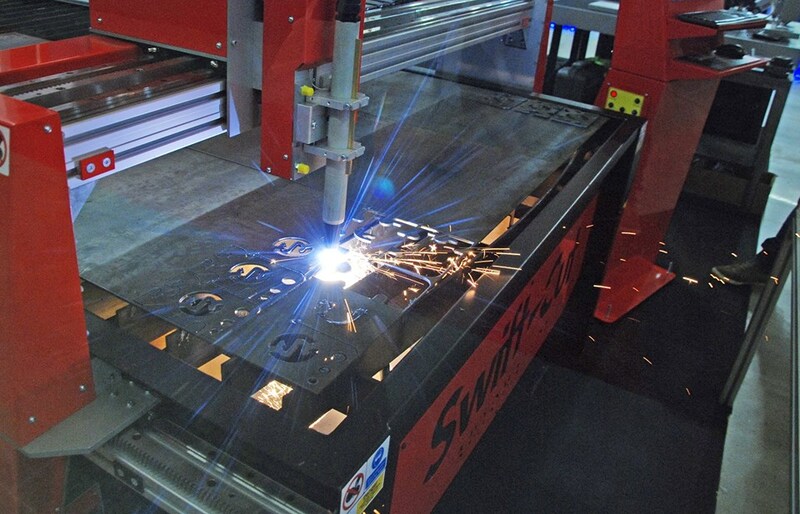 Cut all metals: stainless and mild steel, aluminium, copper, brass, zinc etc. 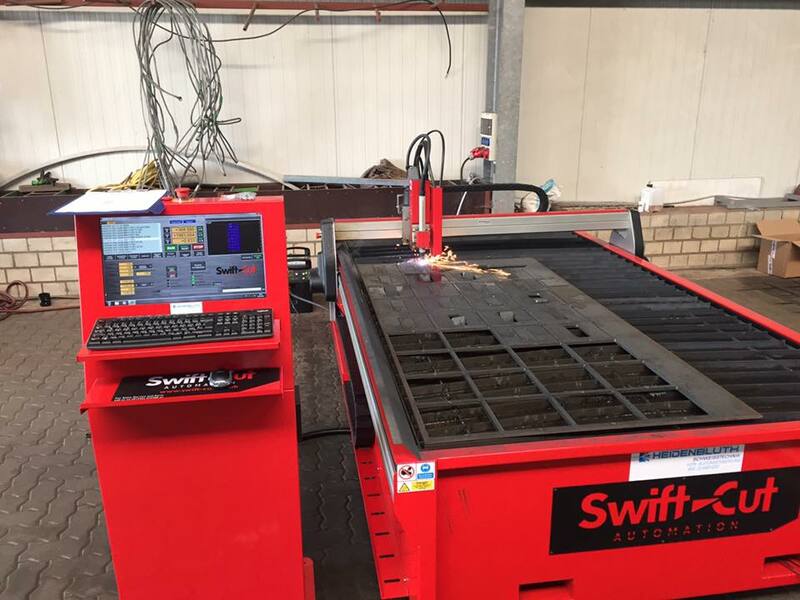 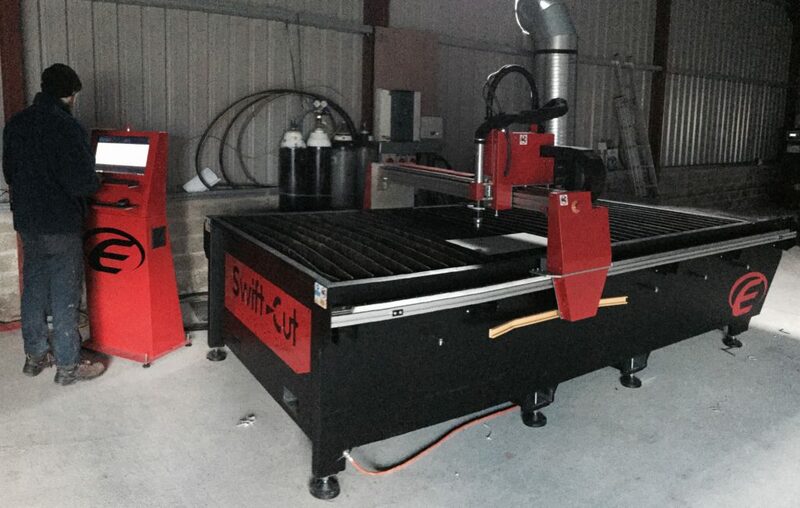 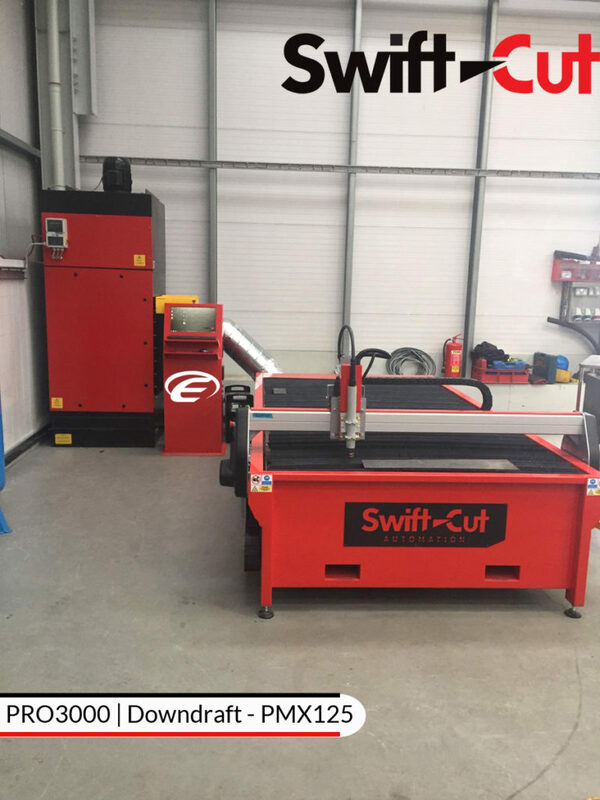 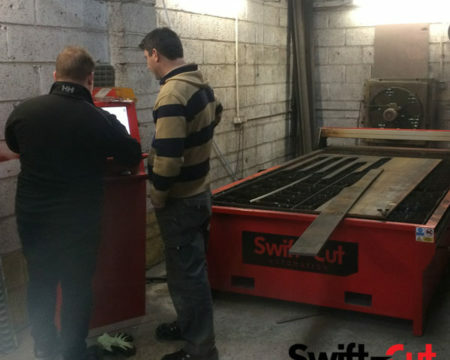 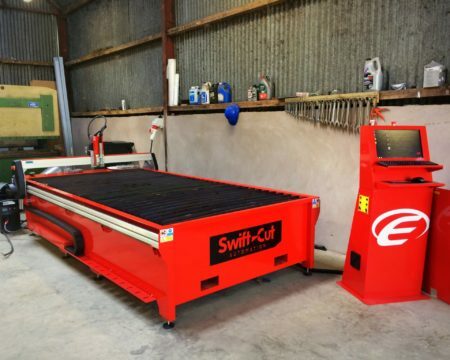 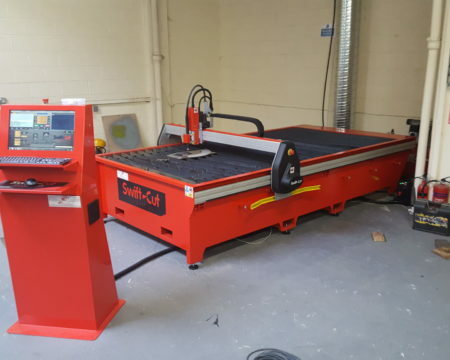 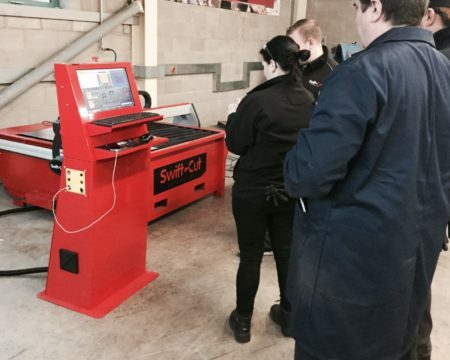 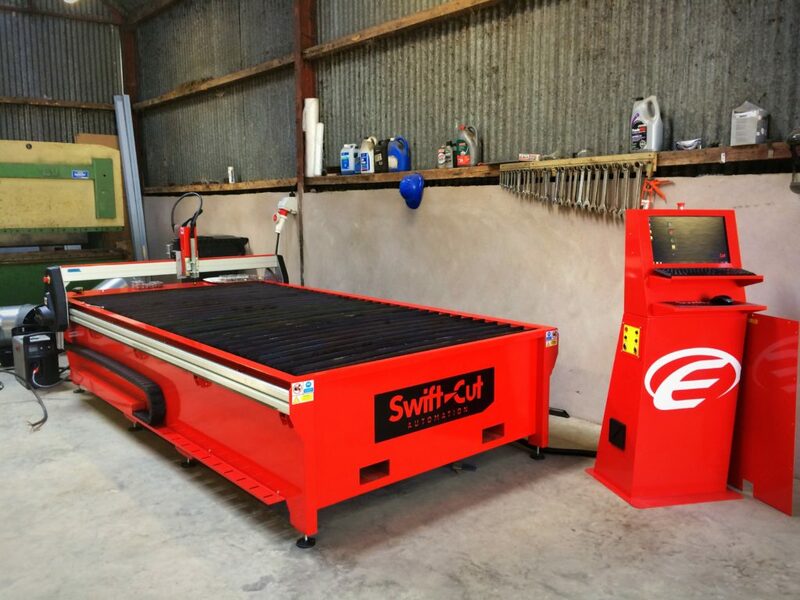 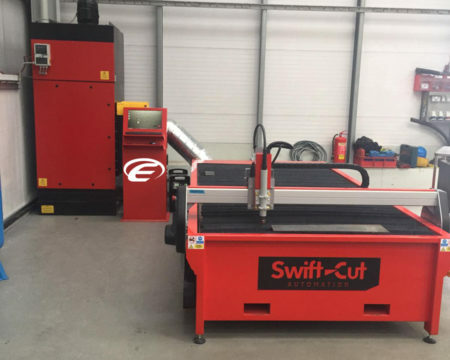 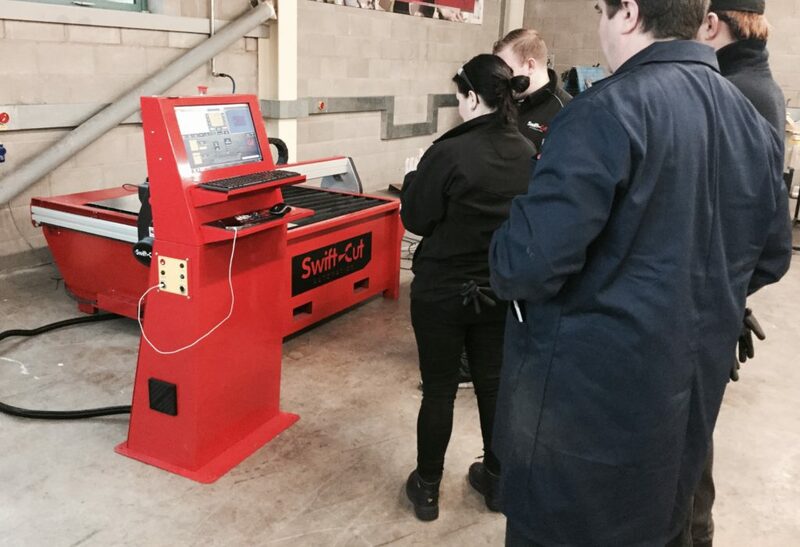 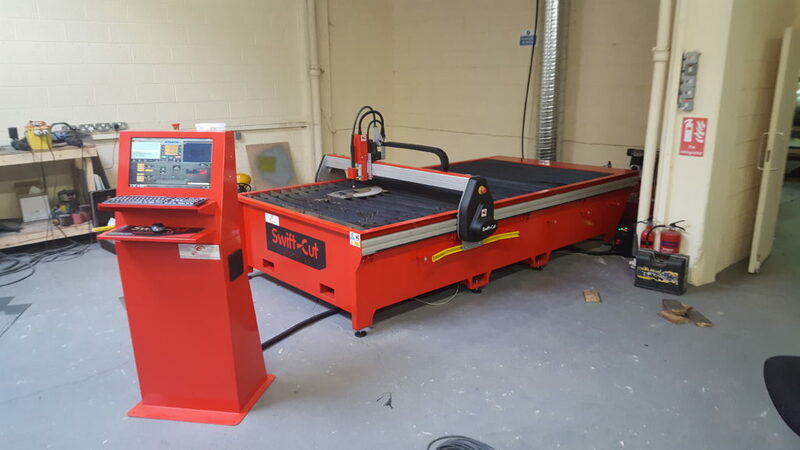 The Swift-Cut Pro range is a collection of four cutting edge in design CNC plasma cutting machines. 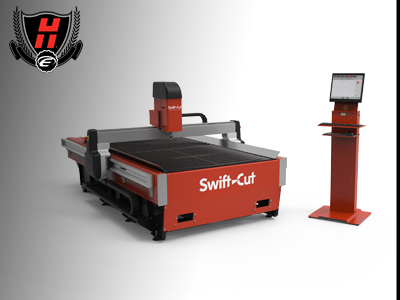 With easy to use software, the Swift-Cut Pro series promises high speed precision cutting at a low cost investment. 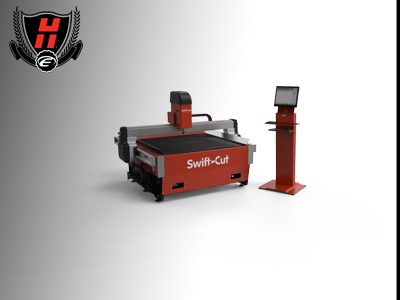 Easy to use, simple to learn and operate with exceptional aftercare and support, the Swift-Cut Pro Series is the answer to affordable in-house CNC metal cutting. 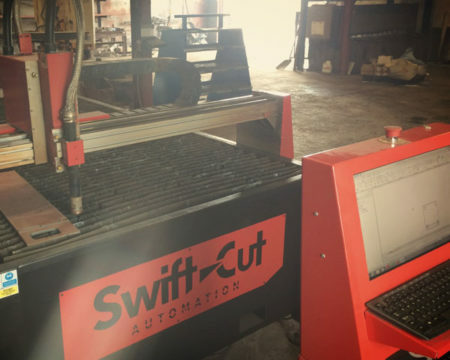 Precision linear rail on all axes combined with stepper motor encoder feedback delivers exceptional positioning accuracy. 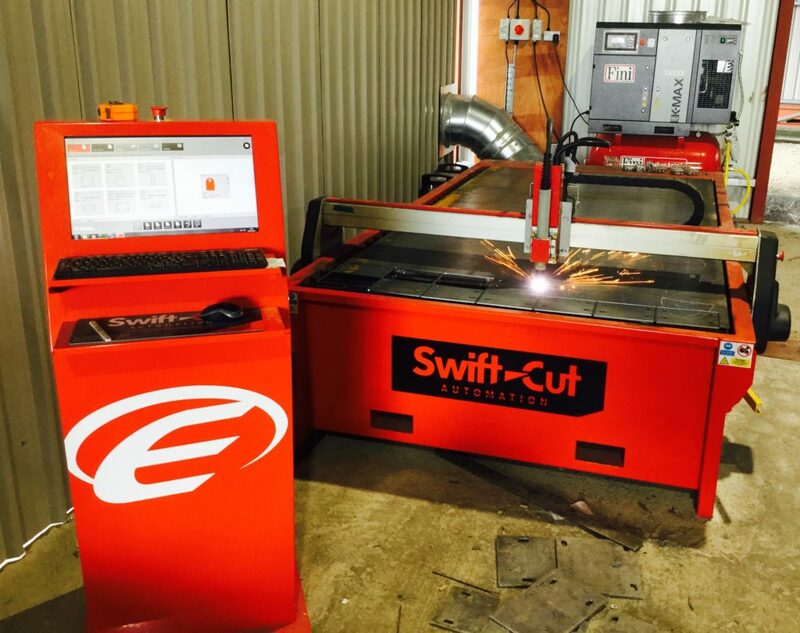 Laser cross hairs aid in the positioning of the cutting head. 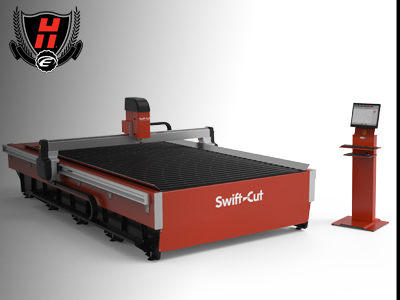 The Swift-Cut 3000 is our largest plasma cutting table, it’s a great mini-production table that will cut all day long. 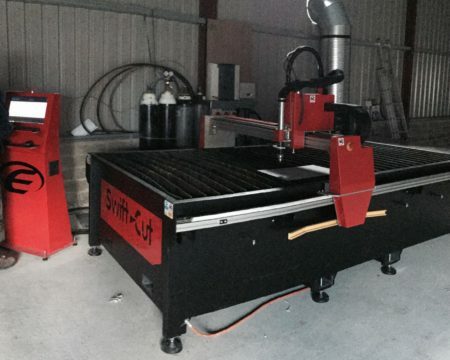 Ideal for workshops, metal fabricators, repair outfits, educational establishments, designers and artists. 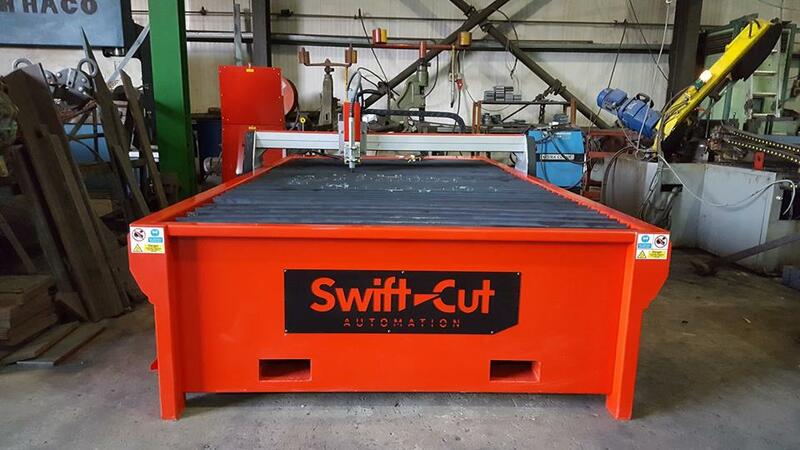 Fully enclosed cutting head offers protection to key components against the harsh cutting environment. 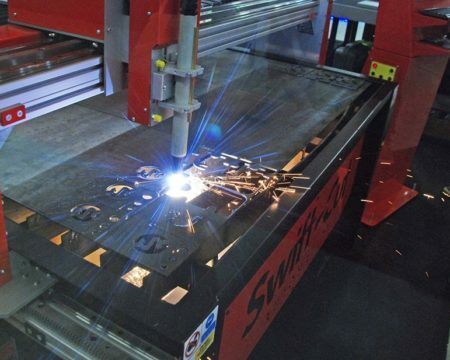 Heavy duty gantry end castings with machined faces provide a precise and stable platform for the cutting head. 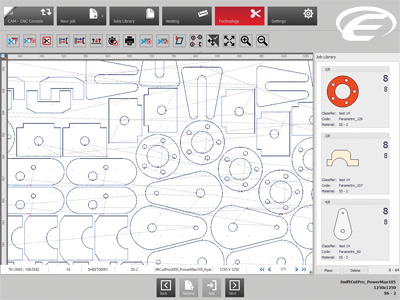 Ergonomic operators console with touch screen and keyboard/mouse inputs. 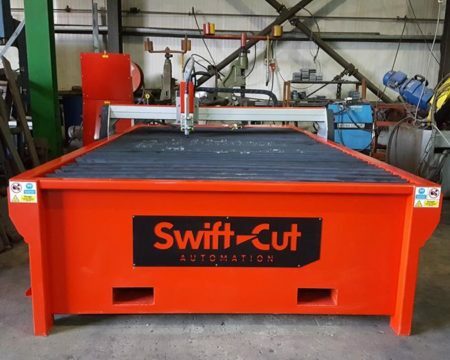 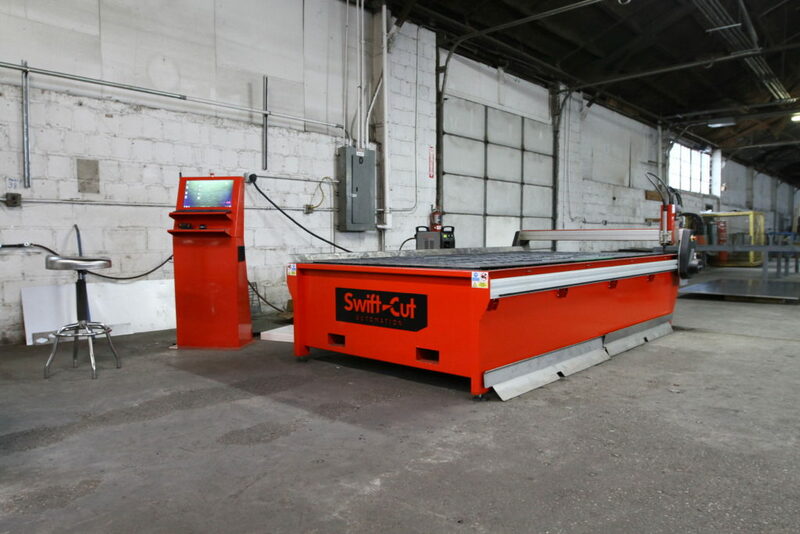 The Swift-Cut 4000 is our largest plasma cutting table, it’s a great mini-production table that will cut all day long. 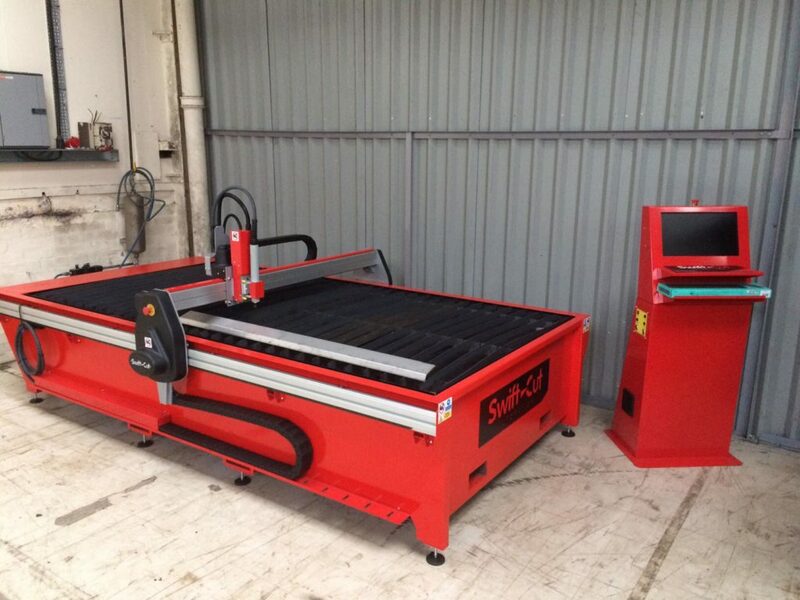 Ideal for workshops, metal fabricators, repair outfits, educational establishments, designers and artists. 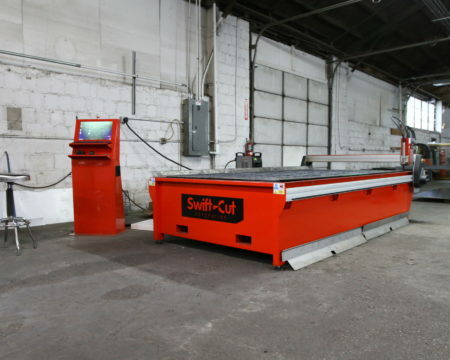 Lightweight but rigid gantry beam supports twin x-axis linear rails. 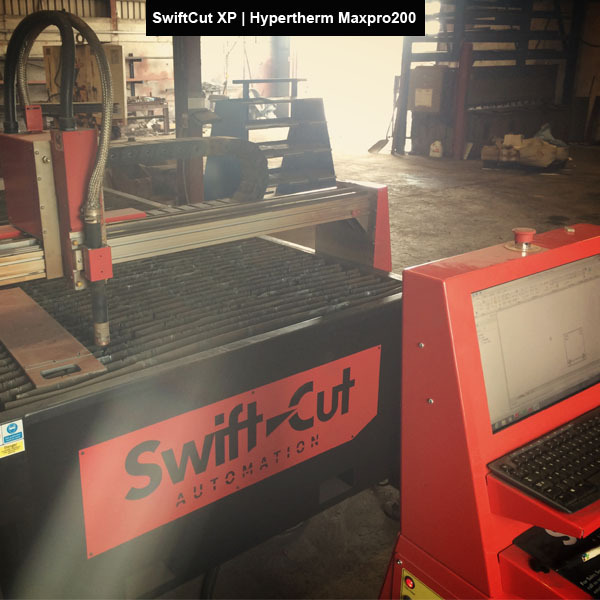 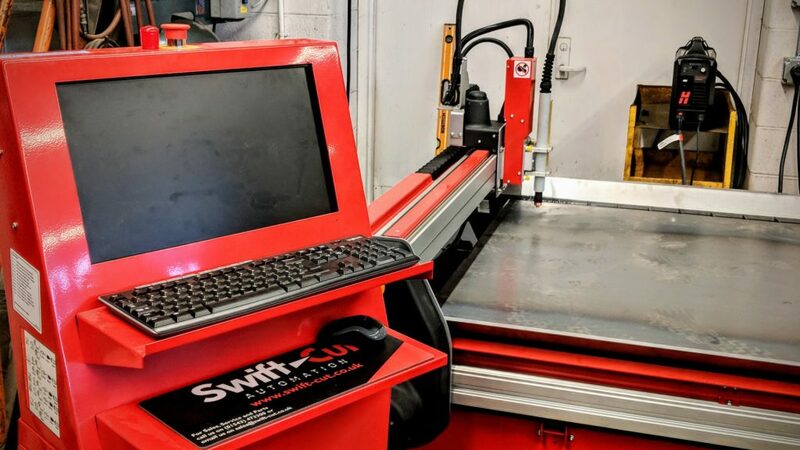 SwiftCAM is CAD / CAM application software developed to allow ease of use for any of our Swift-cut cutting tables, guiding the user to production through a simple path and minimising the time normally set aside for programme preparation. 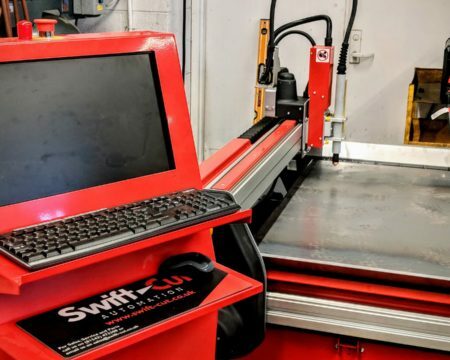 An easy to learn product, SwiftCAM allows you to verify the recently created production cycle via 3D simulation in a realistic environment to test its functionality.